Submitted by Alexander Briones on Jan. 18, 2018. Originally published on May. 25, 2016 and updated on Jan 18, 2018 by Jason Horton and Alexander Briones. Since the market is continuously flooded by various PA subwoofers, we have updated this guide to show you the current market favorites. DJs, musicians and live sound engineers will appreciate this list of top rated powered and passive subwoofers. It is our aim to help you pick the best one that fit your budget and your planned setup. How Will You Integrate Subs Into Your PA System? This section is devoted to powered pa subwoofers - you can skip ahead to the passive subwoofer section below if you want to. 96 out of 100. Incorporating 125+ ratings and reviews. The Electro-Voice EKX-18SP subwoofer tops this list with its impressively high rating, thanks to its big 18" woofer and 1300W amplifier. Its most interesting feature is its Cardioid Control Technology, which focuses sound projection on to the audience while reducing stage noise. It also comes with built-in DSP (Digital Signal Processing) that allows for quick setup and matching, be it with your other speakers or the venue it is employed in. Finally, it is relatively light considering that it comes with an 18" LF Driver. 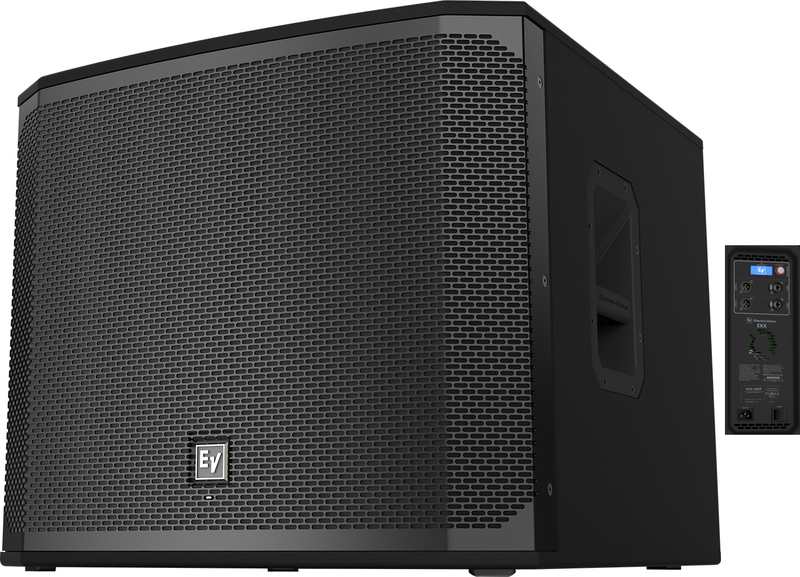 Dimensions: 20.4" x 23.8" x 24"
Awesome, amazing and great are just some of the many superlatives that are used to describe the Electro-Voice EKX-18SP's real world performance. It has been proven to work well in various situations, including rock and metal band concerts, DJ and other dance music styles, as ell as school and office parties/activities. With its big 18" woofer, many users are impressed with its hard hitting yet clear sound projection. There are a few users who cautioned that this subwoofer is heavy, and they wish that it came with wheels by default. Having said all that, the EKX-18SP is a serious sub-woofer that will fit most musical and event applications, well deserving of its top recommendation position. 95 out of 100. Incorporating 40+ ratings and reviews. 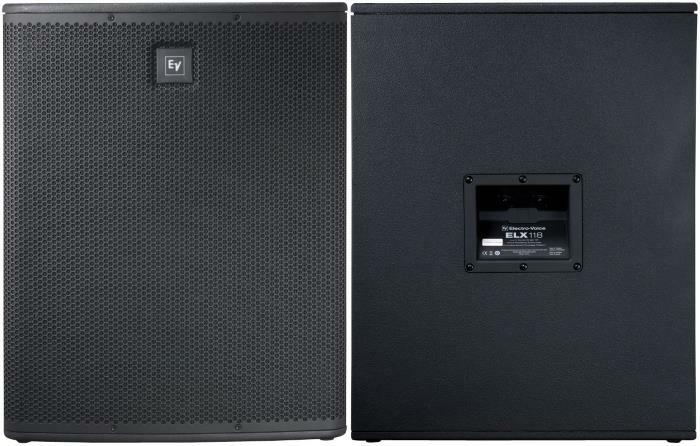 The JBL SRX828SP has the highest Max SPL of any of the powered subwoofers that made their way into this guide. JBL packed these with features: HiQnet networking giving you complete control over tuning your system with a tablet app for iOS and Android; user-configurable DSP; Drivecore amplification by Crown; LCD screen and a handy glow in the dark rear panel. Dimensions: 22.57" x 47.42" x 26.79"
The most common comment in positive reviews is that these are loud - the term "earth shaking" came up more than once in customer reviews. Many people, including a few that operate or hire companies, said this unit is incredibly strong and sturdy. There were very few complaints - someone suggested that casters should ship with it instead of being optional, someone else pointed out that some control features only work via the app - EG if you mute a speaker you can only unmute it if you have the app running - even after turning them off and on. If you want nothing less than earth shaking bottom end, then the JBL SRX828SP is definitely the powered sub for you. The DSR118W uses DSP technology to protect the amp and speaker - it has onboard 48bit AD/DA converters to turn the signal from analog to digital. By going digital Yamaha have been able to include a range of technologies including their proprietary FIR-X tuning system which automatically optimizes the frequency and phase response. Dimensions: 20.5" x 25.25" x 23"
Many rock bands gave this positive customer reviews, as did people who already had Yamaha DSR powered FOH speakers. There were also a few mobile DJs that rated this highly, but not as many as the others mentioned above. A commonly cited compliment is that these have a good punchy sound. Some people complained a bit about the heavy weight and a couple of reviewers said it would have been nice to include manual control over the crossover - this is handled automatically. The heavy build seems to have made the Yamaha DSR118W quite durable with no reports that I could find of the enclosure wearing out or getting easily damaged. 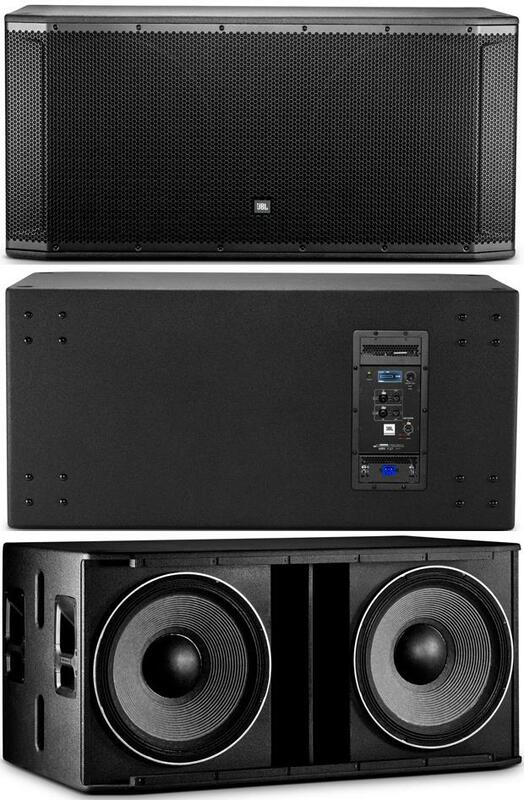 In addition to pairing these with Yamaha FOH speakers (Tops) I've also seen reports of people happily using them with QSC, JBL, and even one case of using them with a Bose Compact L1 system. The Bose F1 Subwoofer is designed to be compact and portable, while still having good projection. Unlike conventional subwoofers with single LF drivers, this one sports two 10" drivers, which adds to its projection while having improved punch and clarity. This design also allows the F1 Subwoofer to handle fullrange speaker duties when needed. As expected, it matches perfectly with other F1 Series speakers with its built-in mounting bracket. Being very light at just 55lbs is also another standout feature of this subwoofer, making it ideal for mobile setups. 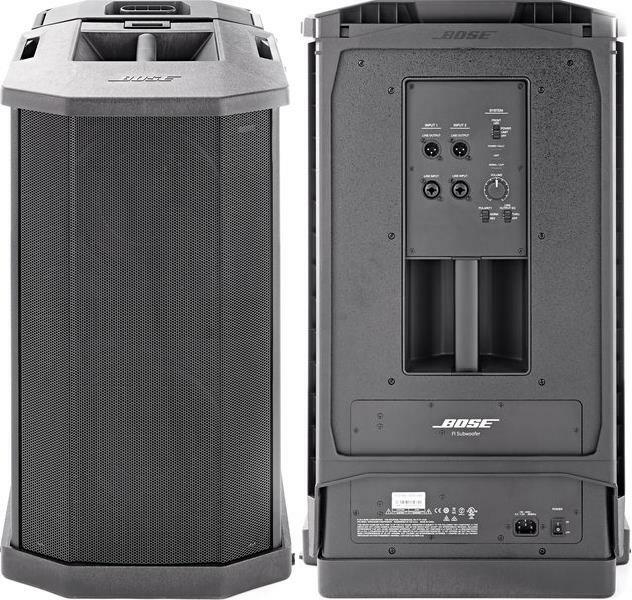 Dimensions: 27" x 16.1" x 17.6"
For its weight and size, the Bose F1 Powered Subwoofer packs quite the punch! And this is corroborated by many users who found that its two 10" woofers perform better than single, bigger woofer setups. It continues to exceed the expectations of many users, including guitarists, keyboardists, other musicians and even DJs. Mike Crofts of Sound on Sound was concerned with the controls not being deeply recessed, thus exposing them to potential damage. Other than that, he was impressed with the overall quality, ease of use, and flexibility of Bose' F1 speaker line. The Bose F1 Subwoofer will appeal to those who already own F1 series speakers, and to those who are looking for something portable. This is where we sometimes present additional options which didn't quite fit into our list above but which you may also find interesting and useful - in this case it's a low-cost but respectable option for those on a tight budget. 88 out of 100. Incorporating 350+ ratings and reviews. The Behringer Eurolive B1200D-PRO is a popular option for people on a budget. It's pole mountable, has a switchable +6 dB bass boost with a selectable frequency between 40 Hz and 90 Hz, and it has selectable hi-pass-filtered outputs between 70 Hz to 150 Hz for plugging in your main speakers. It is popular with bands, wedding DJs and houses of worship - some people have even used it as part of their home theater systems. Dimensions: 17.0" x 14.8" x 16.7"
A common comment in positive reviews is that these offer excellent value for the money, with sound quality that is good enough to get through gigs reliably. A few people pointed out that this is under-powered for the purpose of EDM types of music. If you typically play small venues, or you're on a limited budget, then this is a great option for you, however if you're a DJ who needs a lot of bottom end then you're better off getting something more powerful. These require an external amplifier such as a power amp or powered mixing console to drive them. The JBL PRX418S is a passive subwoofer that's meant for easy setup and reliable use. It features a big 18" LF driver and a powerful 3200W Peak power rating that can handle most of the musical styles that you throw at it, from modern EDM and hiphop, to classic metal and rock, and other genres. Dimensions: 26.7" x 21.1" x 24.2"
It continues to receive many positive adjectives like super smooth, tight, clean, punchy and more - all of which point to the JBL PRX418S' good sound quality. Durability and reliability also came up from reviewers that have used it in various venues. Aside from shipping issues, there aren't any serious concerns with the JBL PRX418S' overall performance. Just note that to make full use of its power rating, you'll need to pair it with a powerful amplifier. If you're looking for a loud passive subwoofer, then get the JBL PRX418S. The Electro-Voice SB122 is extremely popular with people who only need a small passive sub. It has a built-in low pass filter which means you can connect it in parallel with your main speakers without needing a separate amplifier, however the filter is completely transparent below 160 Hz so you can also use it in a biamped situation as well - just be careful not to drop below the minimum 6 Ohm rating by the manufacturer. Dimensions: 23.1" x 16.9" x 12.3"
Quite a lot of customer reviews say this sounds like it's bigger than a 12" sub - some even said they replaced their larger heavier subwoofers with these and were quite satisfied with the results. As the high Gearank score indicates, there were no consistently reported problems with these. If you want an easy to use small passive sub then this is your best option. 88 out of 100. Incorporating 225+ ratings and reviews. Coming from Behringer, the B1800X Pro sits in the sweet-spot where quality and affordability meets. This subwoofer is quite loud for the price, thanks to its 18" LF Driver and a peak power rating of 1800W. This speaker comes with a switchable crossover that lets you switch between passive and Bi-amp mode, allowing for setup flexibility. More importantly, since it is from Behringer, it comes with a very reasonable price tag, for what it can do. Dimensions: 27.63" x 21.5" x 21.75"
Overall response to this speaker is positive, with most users pointing to its value for money as its best trait. There were also many who commend the speaker's sound quality, especially when used with musical styles that emphasize low end thump. There was one user who reported encountering hardware issues that required repair. This subwoofer could've scored higher if not for some users who did not look at the specs carefully, and mistakenly thought that B1800X Pro was a powered subwoofer. 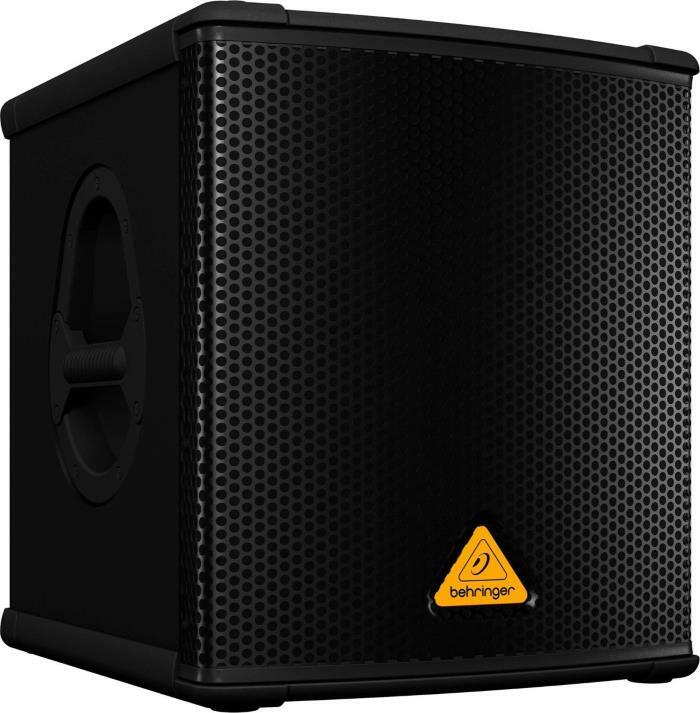 Get the Behringer Eurolive B1800X Pro if you are looking for a budget-friendly yet feature packed passive subwoofer. If the 12" EV sub above just isn't big enough for you, then the ELX118 will get the job done and for only a slightly higher price. It has a 35mm pole socket for mounting or it can be stacked. It also comes with a 5 year manufacturer warranty. Dimensions: 26.02" x 19.96" x 22.6"
Reviewers praised the clear deep sound this produces and many said that it offers great value for the price. Its reliability was also commended a number of times by users who have put the speaker to good use. A few people complained that the finish is easily damaged so take care when loading in and out. 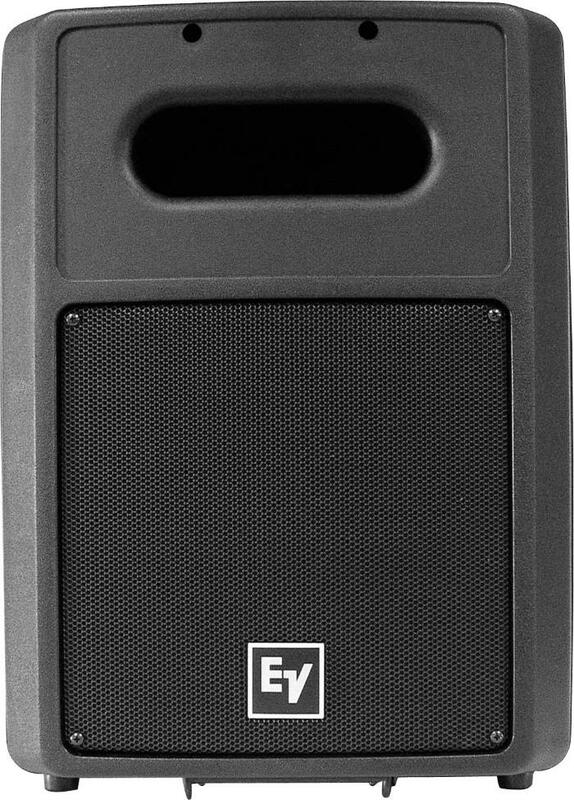 Musicians and DJs of all styles find the Electro-Voice ELX118 passive subwoofer to do a good job. 88 out of 100. Incorporating 175+ ratings and reviews. Peavey have built the PV 118 to be durable with a perforated steel grille and steel corners in addition to a carpet covered MDF enclosure. The two 1/4" jacks are in parallel so you can run multiple subs together or send the signal through to your main PA speakers. It can be pole mounted or stacked. 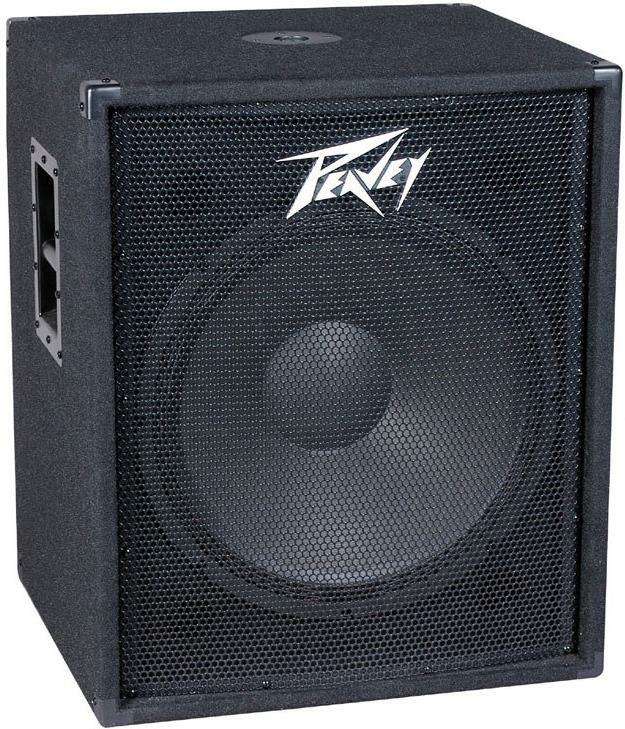 Input Connectors: 2 x 1/4"
Dimensions: 27.00" x 21.88" x 19.63"
DJs, Musicians and Audio Engineers have all given the Peavey PV 118 positive reviews. Many of them praise the price performance they offer and many say the bass sound is solid and clear. A good number of users were also impressed with its durable build and straightforward aesthetics. A few people said the internal crossovers blew out on them after only a few months use - but because these are passive it's difficult to tell if they had been driven too hard. Make sure you understand impedance matching with your amps so you don't over-drive them. Some also said they had problems with the carpet not being glued on properly. This highly rated 18" passive subwoofer is an easy recommendation, especially when considering its value and performance. Acoustic performers and folk style bands will find the smaller 12" drivers provide all the bottom end they need, but if you perform bass heavy styles then you'll need larger drivers that are capable of moving a lot more air - this is particularly true for EDM style DJs. Many drummers and sometimes bass players use a subwoofer in addition to a standard stage monitor in order to get a full punchy bottom end on stage. Initially, we looked at all the PA subwoofers currently available in the USA and based upon their popularity at major retailers we narrowed them down to the 35 most promising options. We then gathered the most recent data from customer and expert reviews, forum discussions and feedback, all of which added up to over 3,500 sources. All of these data were then fed into the Gearank algorithm which helped us rank the subwoofers according to actual market sentiment. Finally, we divided the list to highlight the best powered and passive subwoofers, to make it easier for you to choose ones that fit your current or planned rig. For more information about this process see How Gearank Works. Curious how the TurboSound IQ15B and IQ18B stack up compared to the others. Can they be included? When we were doing the research for this guide it was clear that none of the Turbosound iQ range were rated highly enough to be included in this guide so they didn't make it past the initial screening process. There have been more ratings published over the last couple months so I re-checked and the situation hasn't changed much except that the Turbosound iQ18B now has a higher Gearank score then it did back then, but still not high enough to be included in this guide, although I did add it to our public music gear database today. You can see all the Turbosound products in the database here. I should point out that the purpose of Gearank.com is not to list every piece of music gear out there, instead we focus on highly rated gear that have a realistic potential to be included in our Music Gear Guides. Hello what should be the ratio of speakers to the one amplifier given that the amp can drive out 5000 watts. So how many speakers can it drive to its maximum without damaging it or vice versa? Let me say if i had only EV bass speakers. Submitted by Alan Tefan (not verified) on Oct. 29, 2016. Unless you have a very expensive professional amplifier, it's not going to be able to output 5kW. If you have an amp that can really output 5kW then you're not going to be asking that question. You'd need a 32 amp mains supply for that! You're also asking the wrong question. Let us assume you have an amp rated at 500W continuous. This 500W is the maximum it can output under ideal conditions. These ideal conditions are met when the impedance (measured in ohms) of the amplifier is equal to the impedance of the speakers being driven. For example, if you have an amplifier with an impedance of 4 ohms per channel, then it would be at its most efficient when driving one 4 ohm speaker per channel, or two 8 ohm speakers per channel etc. Connecting speakers with lower impedance than the amp will risk damaging your amp - it effectively creates a short-circuit. With your amplifier you should have a spec sheet, and this will tell you what the continuous power output is. If you have speakers which are impedance-matched to your amplifier, make sure that the continuous power rating of the speakers is greater than or equal to the continuous power output of the amplifier, otherwise you risk burning your speakers out. So if your amp is 2-channels, 4 ohms per channel, 500W continuous, you need a pair of subs with an impedance of 4 ohms and continuous power output of 250W or greater. Submitted by Steven (not verified) on Jul. 11, 2018. I have to correct you on your comment. A 5kW amplifier does not draw 32A. Amplifiers first store energy in capacitor banks, then release that energy (through a DC power supply) through transistors to the speaker. Look up "average power draw" on your amplifier's specs. Then look up "inrush current.". The inrush is the most likely reason a breaker would trip, especially if turning on multiple amps at the same time. Submitted by Andy (not verified) on Oct. 14, 2016. Submitted by Jason Horton on Oct. 14, 2016. There are 2 Ins and 2 Thrus on the Yamaha DXS12. The outs are called Thru because the signal is running in parallel to the input rather than in series. Submitted by Burton Brown (not verified) on Dec. 14, 2016. Hi - I know I'm late to the topic. Hope I get a response - I'm looking to upgrade my sound, have been considering the below listed bass bins. They almost have similar specs but the max spl ratings and low end on the EV is slightly better but almost twice the price of the Alto. I’m not able to listen to them as no one store has both in stock. So I can’t really rate them on sound quality. If possible – can you help me out? Submitted by Jason Horton on Dec. 14, 2016. I've added the TS218S to our public database so you can compare it's Gearank score with the ELX118P. Gearank scores change as new data becomes available and based on some of the reviews I read I wouldn't be surprised if the TS218S earns a higher score over time, but it has a long way to go before its ratings would be high enough for us to include in one of our music gear guides. BTW - The ELX118P has a street price that's only slightly higher than the TS218S and as I type this (and this may change at any time) there is currently a lower price for the ELX118P on Amazon than for the TS218S on Amazon. Submitted by Burton Brown (not verified) on Dec. 15, 2016. So I'm leaning more towards the Alto + I have a pair of Alto 15's - But I'm certainly considering moving to EV in the very near future. Submitted by Wayne (not verified) on Dec. 25, 2016. I see no Yorkville speakers mentioned here. Were they not considered for comparison, or found to be under ranked? We didn't keep any specific notes on Yorkville Subwoofers when we did the research for this guide - all I can tell you is they didn't make it past the first level of screening which means that at the time it was considered unlikely that they would rate high enough to be included. Submitted by sunrcr (not verified) on Jan. 23, 2017. I highly recommend the Yorkville ls801p's. Submitted by D'Coach (not verified) on Mar. 6, 2017. Has anyone tested the Peavey Dark Matter 115 or 118 Subs? What about the Peavey PVXP 15 inch Sub? Submitted by Patrick (not verified) on Apr. 1, 2017. The JBL PRX718xlf are NOT designed to be mounted on a pole. They have a pole mount for a top speaker to be mounted above them. Don't want some knucklehead trying to put one of these up on his On-stage speaker stand. Submitted by Milton (not verified) on Apr. 5, 2017. Any way you could do a powered sub comparison based on wattage? I am specifically trying to compare the Turbosound IQ18b, the ETX-18SP and the QSC KW181. Submitted by Jason Horton on Apr. 5, 2017. Bespoke comparisons aren't a viable option due to the amount of time they require to do at our usual high standards, however we do take all comments into consideration each time we update one of our guides. We also make nearly each piece of gear we've analyzed available in our music gear database and you can see the Gearank scores of each item you mentioned by clicking here. Submitted by Erik Naugle (not verified) on Jun. 16, 2017. Submitted by Jason Horton on Jun. 16, 2017. Hi Erik - I checked and found that all the major retailers have sold out and it's no longer available for $799. The lowest price I found was $1150 at Amazon - that price may not last long. Thanks for letting us know about the problem - I've removed the outdated JBL PRX718XLF information from the guide above. 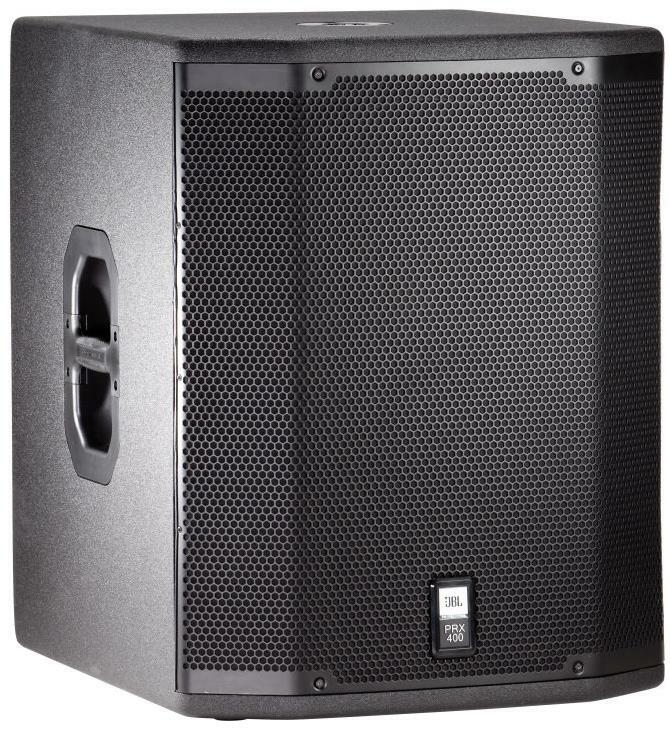 Anyone who's interested in our meta-review can still find it at JBL PRX718XLF 1500W 18" Powered Subwoofer. Submitted by Adubs (not verified) on Jun. 20, 2017. Best subs for the money you will ever find will be BASSBOSS. Submitted by Jeremy Richey (not verified) on Jul. 10, 2017. I came across this from google search, and have to say that I am pretty unimpressed by this comparison. Please include 1 watt/1 meter halfspace readings in your ratings, as max spl means nothing if you do not know how much power you are going to need to get there, and fix your max spl ratings. The industry has standardized on half space, 1 watt/1 meter, calculated at the speakers advertised ohms (4 or 8), to make comparisons possible. 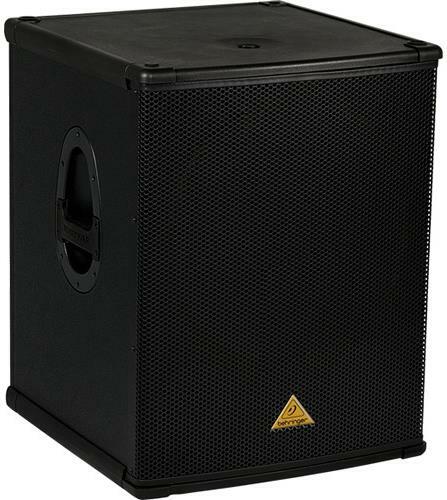 The Peavey PV118 you have listed as Max SPL: 118 dB, is 95db 1w/1m, rated 200 watts continuous (200 watts 2.83vrms/8ohms)/400 program/800 peak. The Electro-Voice ELX118 you have listed as Max SPL: 134 dB, is rated 96db 1w/1m, rated 400 watts continuous (2.83vrms/8ohms)/800 program/1600 peak. In practical circumstances, there is only a 4db difference between the two (1dB due to sensitivity, 3dB due to double power). You have a difference of 16dB listed though! Care to explain how you came up with those numbers? Submitted by Jason Horton on Jul. 11, 2017. The Max SPL ratings came from the manufacturers' spec/data sheets and they are correct (I re-checked them today), however I agree with you that the sensitivity ratings should also have been included - leaving them out was entirely my mistake. I've now added the sensitivity ratings to the passive subwoofers above. Submitted by Jeremy Richey (not verified) on Jul. 11, 2017. Thank you for the comment, I'm pleasantly surprised by the response. I guess I never pay attention to Max SPL ratings because how a speaker performs is calculated off sensitivity and power. IMHO this is an example of the manufacturers being misleading. I typed into an SPL calculator, and I can see how they are coming up with these numbers. What these guys are doing would have been considered cheating a few years ago, by publishing corner loaded (1/8th space) at peak power rating. I looked up the active QSC KW181, and the Yamaha DSR118W, and there was no sensitivity listed for their cabs, but their numbers seem only possible if they are doing this as well. This will cause problems comparing passive vs active speakers. 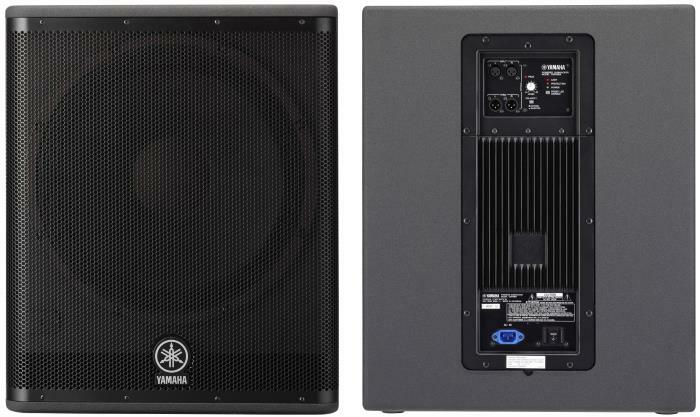 See Yamaha's passive SW118V, published in half space: here. If you calculate the Peavey PV118's "Max SPL" as EV did for their ELX118, by corner loading them instead of half space loading (+6db), and base it off peak power instead of continuous (another +6db), you get a "Max SPL" of 130dB. That said, Peavey is rating correctly, the others are not. Thanks for adding the sensitivity. Now at least I know what's going on. Unfortunately 1w/1m half-space, is much more important to know than Max SPL, which is not a standard to my knowledge. A note on Behringer: I bought a 200w 1u quad amp from them, because it was 1u and I was curious to try one of their products. I ran a sine wave through it and wasn't able to get more than 30 watts through it, measured via multimeter. They flat out lie on their specifications. I will never buy another product from them. I would suggest only include products from them you've tested. As I'm sure you're aware, but others may not be, there are several different ways to measure power and several ways to calculate ratings based on those measurements. Looking at the numbers you stated for the 1u amp my guess is that they used some kind of very generous peak rating instead of a root mean square as you appear to have done. Some manufacturers seem to be deliberately vague about power ratings in order to advertise the highest headline number they can come up with - we've begun asking manufacturers about their rating methods so we can offer consistent information across all our guides as we update old ones and publish new ones - some manufactures are proving to be more responsive than others but hopefully we'll get there. Submitted by Dear Daddy (not verified) on Sep. 9, 2017. To the one making a fool of himself- I feel as tho you are trying to find an error that can't be backed up, therefore causing the Gearank team to do a retraction. As far as I'm concerned, the testing they did was awesome. I'm a 20+ year sound engineer and I will, and would have, never been so blatantly crass over 16bB. Seriously? 16 dB? You then told them "Care to explain how you came up with that?" Really? You're a blog bum, aren't you? Just cruising thru sound blogs looking to prove someone wrong or just a little more off the shoulder than you're happy with. Gearank guys do great work. I have never added any of my 2 cents to a blog...ever! Until now! It's actually true, the saying 'you learn more with your mouth shut and your ears open'. In this case, well, you figure it out. You seem to be mr smarty pants. You're also the guy that makes all us other sound guys look as tho we don't know what we're talking about. You should try leaving your calculator in your pocket protector, put your suspenders back on, take off your slippers - shower, of coarse - and put the cheese puffs back in the cupboard...you've had plenty! Not in that order, of course. Good thing I said something, wouldn't want you to belittle me on well known and very informative blog. I earn business by keeping up with these guys. 16dB has never been an issue when looking at speakers. If I found a small oops, I'd email the blogger and discuss it that way. Ugh. I'm sick of you ready. Go hide under you moms bed, where you just came out from to hassle this blog. Go, now. Your milk and cookies and new coloring book is ready. Nothing is wrong with the last 3, I love them. But hiding under you mothers bed as a grown adult is. Goodnight. Submitted by Jeremy Richey (not verified) on Oct. 29, 2017. Wow, I didn't see this till now. First off, Congratulations on your long career as a sound engineer, I've only been doing it about eight and a half years. I never run powered speakers, because as you know, you have to run twice the amount of cables for them. They've become somewhat of a fad with DJ's and garage bands lately, so I'll blame the market as well as the many budget brands for why they are not using the prior industry standard (1w/1m RMS rating). As to whither a 16dB difference matters or not, it is a power factor of about 40x. In fact, it is the difference between typical home theatre set (80db), and typical Prosound equipment (96db). So I really don't understand how someone could not consider 16db a big deal. I am pleased at the response from GearRank. There is no end to the number review sites which are less than reputable, and this comparison was my first time here. I don't believe after my interaction with them that they are one of those review spam sites. They acknowledged the differences and explained where they got the ratings. I do believe that when comparing things, you have to compare them accurately. If it were my article, I might put a note about the differences between the powered and unpowered speaker ratings. However anyone who is curious enough to understand why the disparity exists will be able to read this exchange and learn what I did. Submitted by Luis (not verified) on Sep. 14, 2017. Submitted by Jason Horton on Sep. 14, 2017. We haven't rated the Samson Auro D1200 yet but we might if it has high enough ratings when we next update this guide. An alternative would be the Yamaha DXS12, although it does cost more than the Samson Auro D1200. Submitted by Edward Hines (not verified) on Oct. 12, 2017. What about the rcf subwoofers? Submitted by Jason Horton on Oct. 13, 2017. RCF didn't make the short list when we originally published this guide - you can see most of the subs that were on that list here. Based on RCF's current ratings it's quite likely they will be on the short-list when we next update this guide, and if they rate highly enough they'll be included in our recommendations. Submitted by avnett (not verified) on Dec. 27, 2017. Next review, please include a few models from Seismic Audio. I have several 18" PA subs, including JBL, Yamaha, & CV and for the dollars spent, the SA subs are really good. They are punchy, accurate, and hold up very well to the constant pounding and abuse of three hour EDM-House set lists. Submitted by Jason Horton on Jan. 21, 2018. Submitted by G W (not verified) on Apr. 7, 2018. I'm curious if you have had a chance to review ev's new line of the elx 200 series. I recently purchased the EV ELX200-18sp subwoofer. And I must say I like it better than my EKX. Anyways just curious on your thoughts opinions. When we published our latest update to this guide back in January, there were insufficient sources available for us to provide ratings on the ELX200 series. I've checked again today, and although that's still the case for the passive options in the range, we now have ratings for the powered options which you can see in the Music Gear Database. The early reports are promising and I wouldn't be surprised to see the ELX200-12SP or ELX200-18SP make it into our recommended list when we next revise this category in detail. Submitted by Doug sharp (not verified) on Aug. 15, 2018.
whats your thoughts on sound quality difference between turbo sounds tcs-b218 vs the tfs900b subwoofer, one is bandpass other is horn loaded, want to use for playback music and home theater. Submitted by Jason Horton on Aug. 15, 2018. We haven't rated either of those Turbosound subs, not because there's anything wrong with them, but because they're high-end systems that aren't in wide use and consequently there aren't sufficient rating sources available for us to examine. Note that in order to avoid personal bias in the ratings we provide, we don't directly test the gear ourselves, instead we base our ratings on detailed analysis of the tests conducted by others - you can read more about our methods in How Gearank Works. Submitted by Peter Buchta (not verified) on Sep. 5, 2018. I wish to respectfully disagree with removal of the QSC KW181 review. It is certainly better than some of the other powered sub woofers that are listed in this review. True, that it is more expensive than some of the other competitors on this list but price and production age shouldn’t appear to be the main dominating factor for inclusion/exclusion from your list of high quality devices. I personally have a high opinion of the QSC brand, but the decision to remove the QSC KW181 from the recommended list was based purely on ratings and nothing else. It remains eligible for inclusion in this guide and could come back if its ratings are high enough when we do the next major update of the subwoofer category.